The Bipartisan Policy Center's (BPC) Task Force on Delivery System Reform and Health IT released a very timely set of recommendations for the most effective use of health IT dollars to support coordinated, accountable, patient-centered health care. The full report is available HERE. There was a webcast discussing the release of the report. Senators Tom Daschle and Bill Frist, Co-Leaders of BPC’s Health Project, and Governor Ted Strickland made remarks at the event. BPC Health IT Task Force members, including John Engler, President of the Business Roundtable, and Karen Ignagni, President and Chief Executive Officer of America's Health Insurance Plans, also provided insights on the findings and recommendations in the report. Misaligned Incentives New models of care, supported by the health IT capabilities required for their success, will not become the norm without transforming the nation’s primarily volume-based payment model to one that promotes higher quality, more cost-effective care. Lack of Health Information Exchange While the exchange of information across the multiple settings where care and services are delivered is a central and necessary component of coordinated, accountable and patient-centered models of care, the level of health information exchange in the U.S. is extremely low. Limited Level of Consumer Engagement Using Electronic Tools Health IT plays a critical role in supporting patient centered care, yet use of electronic tools to coordinate care, drive provider-patient communication, and empower patients to manage their health and health care is not widespread. Limited Levels of EHR Adoption While EHRs are a necessary foundational component for new models of care, the level of EHR adoption and Meaningful Use among physicians, hospitals and other provider organizations remains low. Privacy and Security Concerns Consumers expect that their health information will be kept private and secure. Solidifying public trust in health IT and electronic health information exchange initiatives will require assurance about the processes used to protect the privacy and security of health information. Multiple Federal Priorities Require Focus and Attention Health care organizations are faced with numerous requirements associated not only with health IT, but also with delivery system and payment reforms, health care coverage and access challenges, administrative improvements, and program integrity brought about by the Patient Protection and Affordable Care Act (ACA) of 2010, HITECH and other federal, state and private sector programs. But just as importantly the report lays out solutions that could be implemented in a bipartisan way to address these gaps. The full report goes into great detail on how to address each the key issues raised. One important recommendation regarding EHR adoption is to improve the usability and safety of EHRs and accelerate the maturation of the EHR market. They propose that vendors, clinicians, hospitals and other providers should collaborate to identify common challenges and issues related to usability, including those with implications for patient safety, and develop and execute strategies to overcome them. I believe that usability should be a component of the standards and certification criteria for future stages of meaningful use. They also make some suggestions to increase engagement of consumers using technology tools. They urge that the consumer awareness campaign initiated by ONC be built upon, and that both the public and private sectors should take additional steps to demonstrate how electronic tools can help consumers manage their health and engage further with their providers. This should be an encouragement to Lygeia Ricciardi, the ONC's Consumerista. They also make detailed recommendations on how to build a business case for health information exchange. 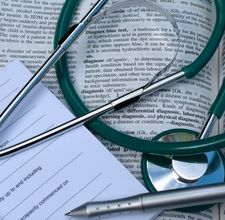 Aside from encouraging expansion of requirements for meaningful use they also recommend that Federal, state and private sector purchasers and payers should require that data standards adopted by the secretary be reflected in the specifications associated with clinical quality measures required by their payment or incentive programs. 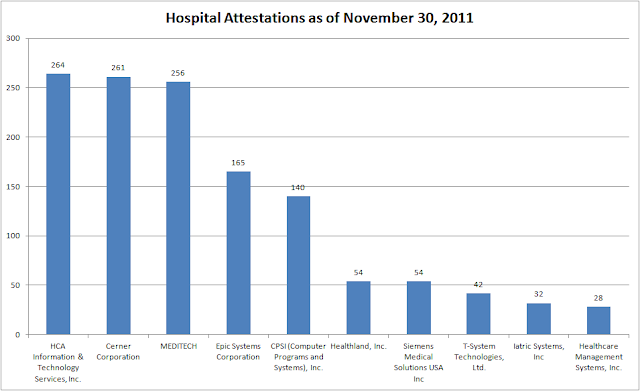 Health information exchange is a critical component of any strategy to use health IT to improve care and lower costs. I know that policy makers are taking these recommendations into serious consideration. I strongly recommend anyone interested in using technology to improve health care read this report. The Office of Information and Regulatory Affairs (OIRA) is located within the OMB. 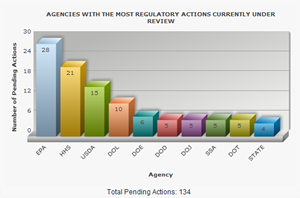 OIRA has a great dashboard that gives an overview of rules under review. This dashboard graphically presents information about rules under OIRA review through an easy-to-use interactive display, and it allows the public to sort rules by agency, length of review, state of rulemaking, economic significance, and international impacts. I will be following the rule making process closely and posting updates as information is available. The NwHIN Governance rule is being done with a Advance Notice of Proposed Rulemaking (ANPRM). This is a step that entails publishing the agency's initial analysis of the subject matter, often asking for early public input on key issues. Any data or communications regarding the upcoming rule would be made available to the public for review. Occasionally, a board of potentially affected parties is comprised to do give-and-take bargaining over rulemaking subject-matter which would otherwise result in deadlocked opposition by an interested party. This is commonly called "negotiated rulemaking", and usually results in a more custom-tailored proposed rule. There has been much written about the legislative efforts called SOPA and PIPA. One of the best discussions on the subject is on Tim O'Reilly's Google + feed. The outcry over this terrible piece of legislation is one of the most effective grassroots campaigns I've ever seen. Citizens took to social media platforms, many websites protested throughout the day, and Congress listened. Several members of Congress switched their position. Despite powerful lobbying forces in Washington, D.C. attempting to guide this legislation through, the chances of it passing, or the President signing it are quite dim. So chalk on up for the good guys and the power of social media! 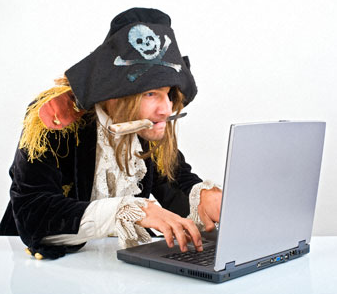 There is a better way to deal with foreign websites who are trafficking in pirated content than infringing on the liberty and freedom of American citizens. As reported in the Los Angeles Times the SOPA protests led 8 million Americans to look up representatives in Congress. Google reported 4.5 million people had signed its petition asking lawmakers to reject SOPA/PIPA. Twitter said 2.4 million SOPA-related tweets were sent in the first 16 hours of the day Wednesday. Below is an interesting YouTube video of a protest held in at the San Francisco Civic Center Jan. 18, 2012. Angel investor Ron Conway, Internet Archive co-founder Brewster Kahle and MC Hammer spoke out against SOPA. It appears that EPIC is by far the vendor with the greatest number of EP attestations (although I suspect that these are employed providers of large health systems). As the Medicaid programs are launched in all the states and those EPs attesting under AIU began to come in I suspect we will see greater numbers for vendors who are in smaller practices. 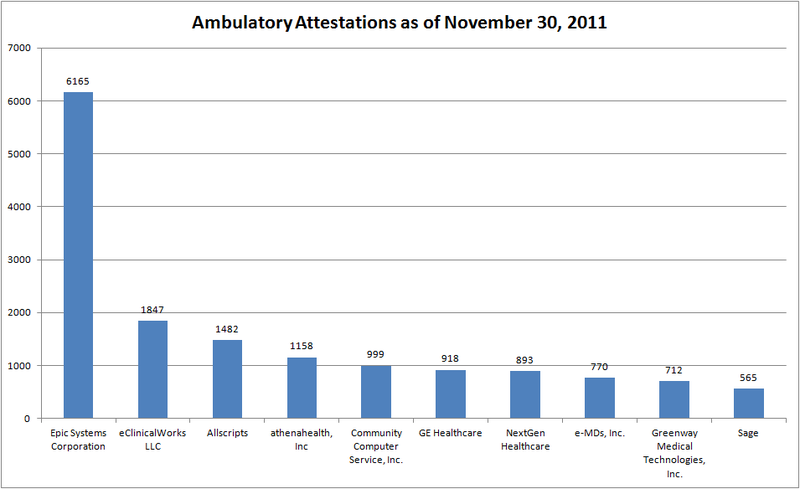 Some very interesting data on meaningful use attestations thus far. While the reports already posted by CMS provide good information (such as the map below with a state by state breakdown), the data released on Data.gov enables systematic analysis of the distribution of certified EHR vendors and products among those providers that have attested to meaningful use within the CMS EHR Incentive Programs. The data set can be analyzed by vendor, state, provider type, provider specialty, and practice setting. One data point that would make this even sexier is the dollar amount paid for each attestation, but hopefully that can be included in future releases. I'll be doing some deeper analysis of this data, but some initial interesting facts are noticeable about state and vendor figures. 999 Community Computer Service, Inc.
712 Greenway Medical Technologies, Inc.
264 HCA Information & Technology Services, Inc. This coming year should be a very exciting time for health IT. With coming IT enabled changes in payment models, continued efforts at obtaining meaningful use incentive payments, switching to ICD10, and intense focus on health information exchange we will stay very busy. Two areas that I believe are going to show a lot of activity in the coming year are cloud services for healthcare and mobile health. There is also opportunity for the two of these trends to intersect as cloud services can be a solution to provide greater capabilities to platforms for mobile health information delivery, access and communication. Hospitals, health systems, and physician practices are beginning to consider cloud-based solutions for the storage of patient health information. Lower cost, reliability, and pervasive availability are some advantages to moving to the cloud. However, there are serious legal and regulatory issues which must be considered before storing sensitive patient data in the cloud. For instance it is not entirely clear is whether, and under what circumstances, and to what extent, a cloud services provider would be considered a business associate under HIPAA.And the HITECH Act expanded the definition of business associate to include in some cases subcontractors who are simply "downstream entities." So my advice is to proceed cautiously, but I still believe cloud is a very viable option in many cases. Cloud computing presents a huge potential for hospitals, health systems, physicians and even health insurers to obtain and maintain cost-effective databases. Web based applications have some attractive features that will allow for more seamless exchange of health information. 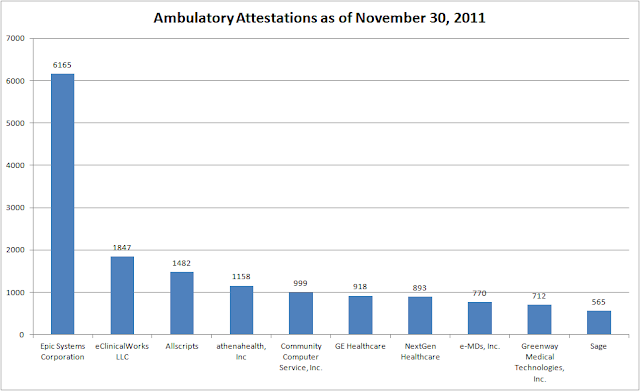 And there are some very good cloud based EHRs on the market now that I will discuss in future posts. Mobile health (mHealth) is another area that is showing remarkable growth. So much so that HIMSS has started a new platform, mHIMSS, dedicated to progress on technology, policy, security, and implementation surrounding mHealth. 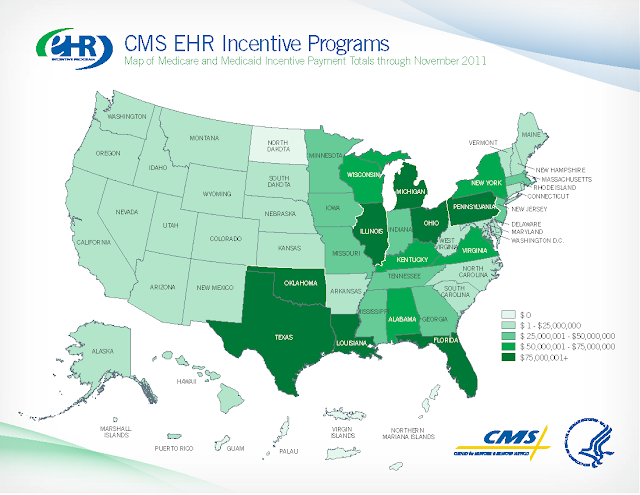 mHIMSS is available for all existing active individual HIMSS members at no additional cost. This should be a very good resource. To be honest, I get most of my mHealth news from MobiHealthNews, and excellent website run by Brian Dolan. Very simply mHealth describes the practice of medicine and public health, supported by mobile devices. There is little doubt that the online health-information environment is going mobile. According to a Pew Internet study in 2010 17% of cell phone users have used their phone to look up health or medical information and 9% have apps on their phones that help them track or manage their health. I think these numbers have likely increased and we will see much higher adoption rates. And doctors are also embracing mobile technology. A report from Jackson & Coker found that 4 out of 5 practicing physicians use their personal mobile devices in their daily practice, from prescribing medicine to scheduling patient follow-ups and entering billing data. And these two trends will have a synergistic effect upon each other, as mobile drives greater need for cloud services, and cloud computing opens up greater opportunities for innovation in mHealth. 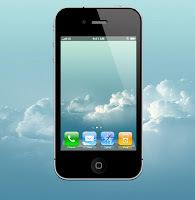 Mobile devices have limited computational capacity so using cloud computing to help off load some of the processing allows greater flexibility in applications. With web based applications optimized for mobile viewing, this opens up possibilities for tablet and smartphone use in ways not previously available. Combing cloud computing and mHealth makes for ubiquitous computing that allows the health data to be available where and when it's needed.